During the first quarter of 2019, Germany and Britain were the largest two new car markets in Europe while France moved ahead of Italy. New passenger vehicle registrations in the European Union (EU) and EFTA countries contracted by 3.2% to 4,146,152 cars. Germany remained the largest single-country car market in Europe with flat sales. The United Kingdom was again the second largest car market in Europe despite weaker sales. France moved ahead of Italy as the third largest car market in Europe thus far in 2019. New car sales were down in most of the largest European countries during the first quarter of 2019. Volkswagen was the top-selling brand. New passenger vehicle registrations in the European Union and EFTA countries were down 136,000 cars to 4,146,152 vehicles – a contraction of 3.2%. This was the second consecutive quarter of weaker car sales in Europe. Car sales in Europe remained at relatively high numbers despite the slight contraction. The market continued to be influenced by manufacturers struggling with WLTP regulations but economic weakness increasingly played a role too. More worryingly for the European automobile industry is that Easter weekend started at the end of March in 2018 while the complete long weekend is in April in 2019. First quarter sales for 2019 would therefore have been expected to be higher, while April 2019 figures may be even weaker than previously predicted. Germany remained by far the largest new car market in Europe during the first quarter of 2019. Germany was the only of the ten largest car markets in Germany to actually have expanded during the first three months of 2019. However, the growth was limited to 0.2% – in effect fewer than 1,500 cars. The British new car market remained the second largest in Europe. New passenger vehicle registrations in the UK contracted by a mild 2.4%. However, Brexit uncertainty was a big factor and some buyers might have brought purchases forward to avoid potential customs charges in the expectation that the UK could have left the EU by the end of March. Whether such purchases occured should be easier to establish only when April and May figures become available. The French and Italian markets switched rank positions. The French new car market was only moderately weaker than a year ago while the new car market in Italy contracted by 6.5%. The Spanish and Belgian new car markets were similarly weaker. The Polish market was flat and only 76 car weaker than during the first quarter of 2018. The Dutch and Austrian new car markets contracted by double digits. The Swedish new car market was the worst performer of the larger European countries thus far in 2019 – only the small markets in Iceland and Cyprus performed worse. In contrast, the Danish and Norwegian new car markets improved strongly – only Lithuania and Romania grew faster. Volkswagen remained Europe’s largest car manufacturing conglomerate, Volkswagen the top-selling brand and the VW Golf the favorite car of the Europeans during the first quarter of 2019. 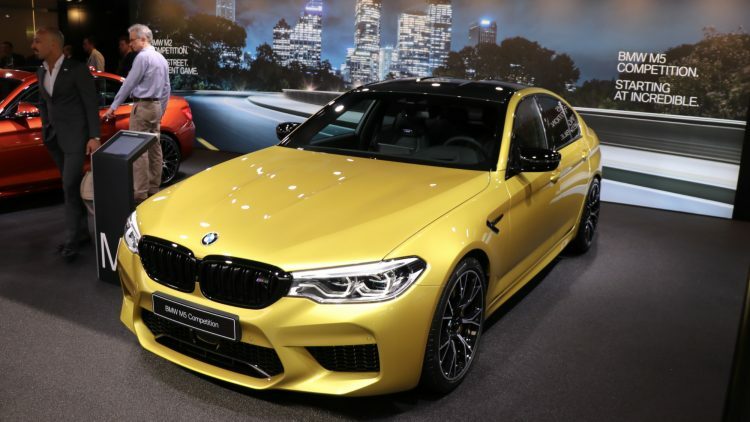 See 2019 (Q1) Europe: Best-Selling Car Manufacturers and Brands for details.